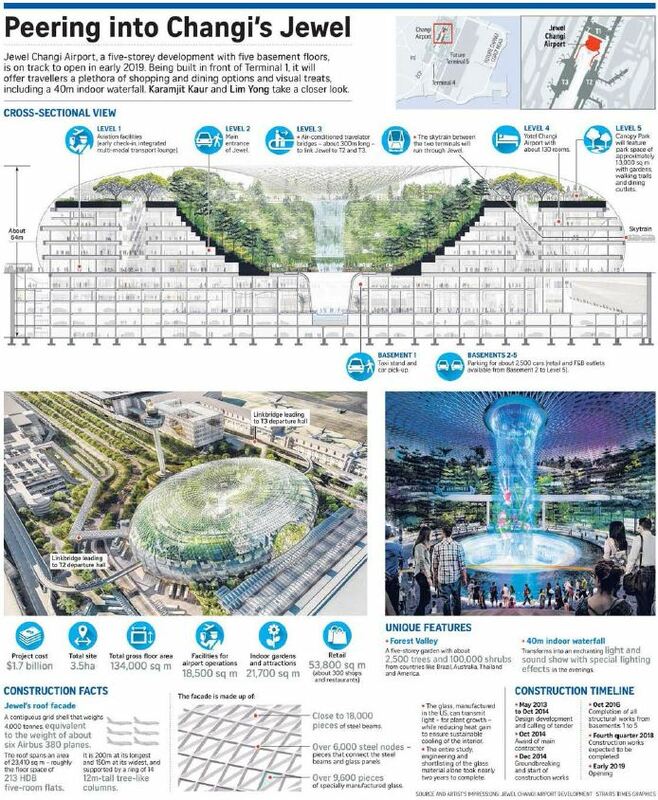 The construction of a future Jewel at Changi has reached the halfway mark, putting the airport on track to build an icon that aims to make Singapore a more attractive air hub and destination. When completed, Jewel Changi Airport will glitter with more than 9,600 pieces of glass, specially made in the United States, that will frame its facade. At the site, in front of Terminal 1, work was in full swing when The Straits Times visited last week – the first exclusive preview since construction started in 2014. The facade and works inside will be completed by the fourth quarter of next year, in time for an early 2019 opening, said project head Ashith Alva. The five-storey, mainly commercial development with five basement floors will house about 300 shops and food and beverage outlets. Highlights include a 40m indoor waterfall and a five-storey garden with about 2,500 trees and 100,000 shrubs from countries including Brazil, Australia, Thailand and the US. 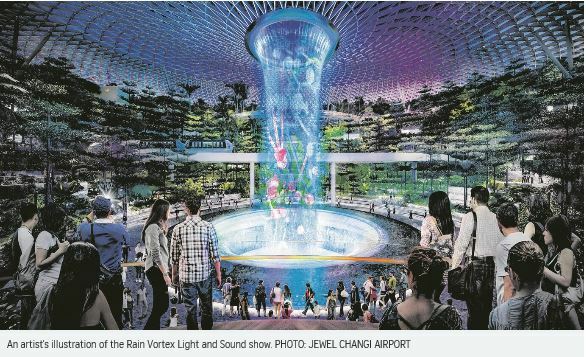 Directly connected to T1, Jewel will be linked to the other two terminals via air-conditioned bridges with travelators. At $1.7 billion, the project is a considerable investment for Changi Airport Group, which owns 51 per cent of Jewel Changi Airport Development, with the remaining stake held by CapitaLand Mall Asia. The airport, however, sees it as a necessary cost to stay ahead in the race for premier air hub status. Passengers with two hours or less between flights would normally stay within the sterile zone close to boarding gates while those with longer layovers, like more than 10 hours, are more likely to unwind and rest in a hotel. For those in between, the hassle of going into town may not be worth it, but they can also do some serious shopping and walking around. Jewel would be great to cater to this group of travellers, especially the elderly and those with young children who may not be so inclined to take a cab and walk about outside of a temperature-controlled environment. This will “significantly augment Changi Airport’s status as a leading international air hub, drawing international travellers to Changi Airport and Singapore”, she said. 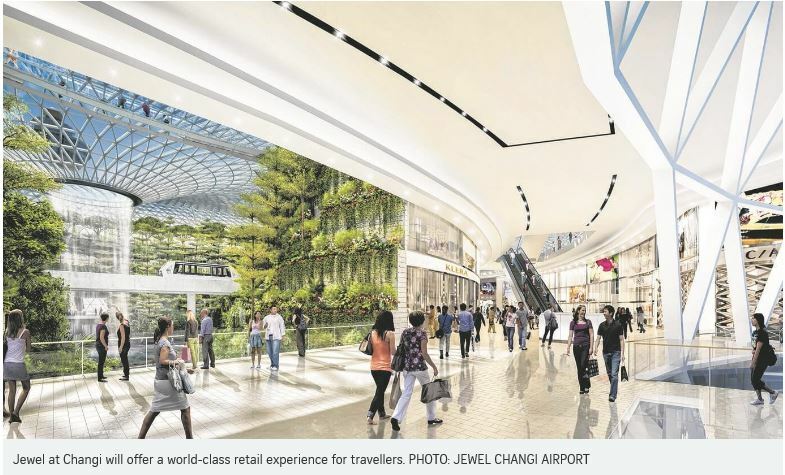 While the jury is still out on whether Jewel will make Singapore a more attractive destination for visitors, or lure travellers who would otherwise have connected at other airports, experts agree it will please those who do come. Singapore Management University’s Assistant Professor Terence Fan, who specialises in transport issues, said Jewel should appeal to a growing number of transit travellers, who account for about a third of Changi’s total traffic. He said: “Passengers with two hours or less between flights would normally stay within the sterile zone close to boarding gates while those with longer layovers, like more than 10 hours, are more likely to unwind and rest in a hotel. “For those in between, the hassle of going into town may not be worth it, but they can also do some serious shopping and walking around. It is important for an airport to set itself apart from its rivals and this is what Jewel aims to do, said Mr Ramanathan Mohandas, head of the diploma programme in aviation management at Republic Polytechnic. 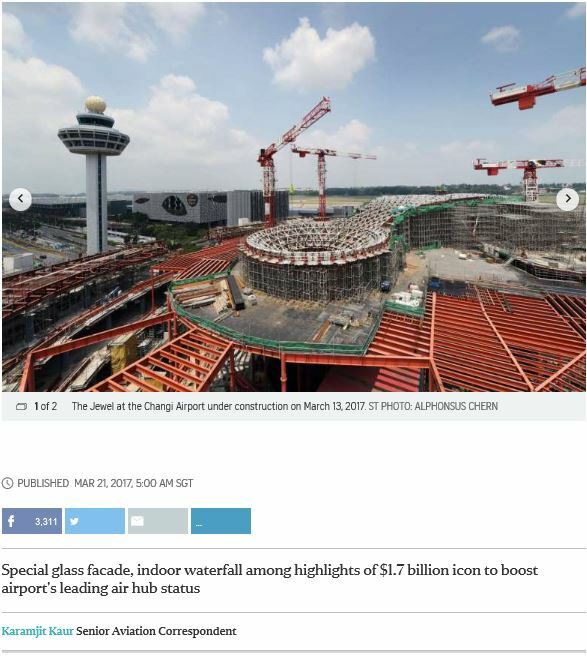 “This investment in infrastructure and facilities is to offer a distinctive experience to the travelling public, which will help Changi stay ahead of the competition,” he said.